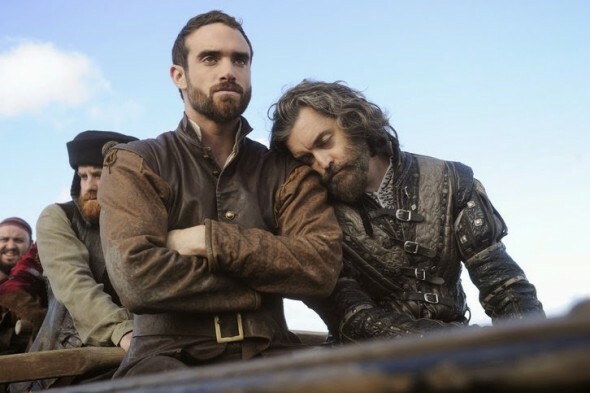 Galavant may not be headed back to the small screen after ABC cancelled it yesterday. But TVLine reports the musical comedy may be headed to the stage. Galavant starred Joshua Sasse as the titular dashing hero, who goes on an epic adventure in search of his true love. Mallory Jansen, Timothy Omundson, Karen David, Vinnie Jones, Luke Youngblood, Ben Presley, and Darren Evans also starred. What do you think? Are you a fan of Galavant? Would you watch it on stage? ARE YOU JOKING?? THIS NEEDS TO BE ON THE STAGE. Who will play Tad Cooper? It won’t be the same without him! I hope this trend catches on! Could you imagine a Two Broke Girls stage show!? Swoon! Oh, I LOVED this show! !